The Shepherd University Foundation announces a scholarship opportunity for students majoring in music or music education, with a preference for those concentrating on voice performance. Marellen Johnson Aherne has established the L&M Family Scholarship in Memory of Laurence D. Bory in honor of her late husband, Laurence “Larry” Bory. Upon meeting, Bory and Aherne quickly knew they had found something special. While Bory was trained as a lawyer and spent most of his career engaged as a lobbyist for engineering companies, ultimately he considered himself a singer. A lover of all types of music, he enjoyed voice performance as well as musical theater. Aherne, meanwhile, had received undergraduate and graduate degrees in theater and, early in her career, had served as the executive director of a dance company and school. 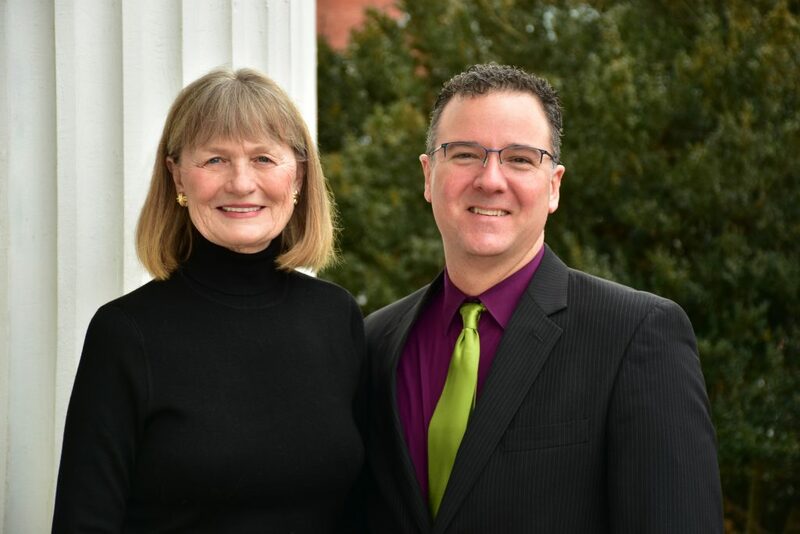 Pictured (l. to r.) are Marellen Johnson Aherne and Robert Tudor, chair of Shepherd University’s Department of Music. The couple fell in love with Shepherdstown, having visited from Washington, D.C., many times for the Contemporary American Theater Festival (CATF). In 2013, they decided to permanently relocate to the community. However, Bory died just six months later. Wishing to memorialize her late husband in a meaningful way, Aherne ultimately chose to establish a scholarship in his name through the Shepherd University Foundation. Her primary objective in creating the award was to ensure that its recipients were lovers of music. She said living in Shepherdstown provides the added benefit of being able to experience the joy of meeting recipients of the scholarship. Aherne believes the scholarship in her late husband’s name will bring joy to his entire family, for whom music has been instrumental throughout their lives. Bory’s two daughters are trained in dance, one son-in-law is a classically trained violinist, music teacher, and conductor, and the couple’s 15-year-old granddaughter is a classically trained violinist who performs with the Boston Youth Symphony Orchestra.